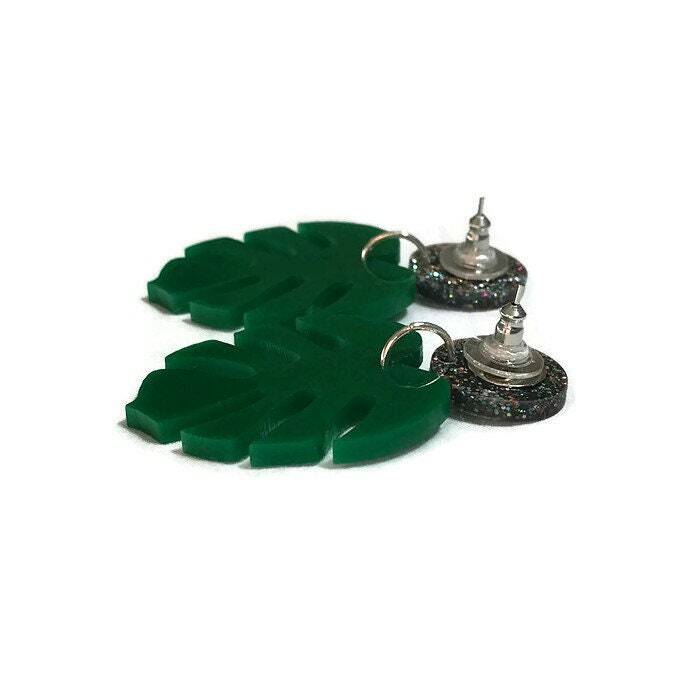 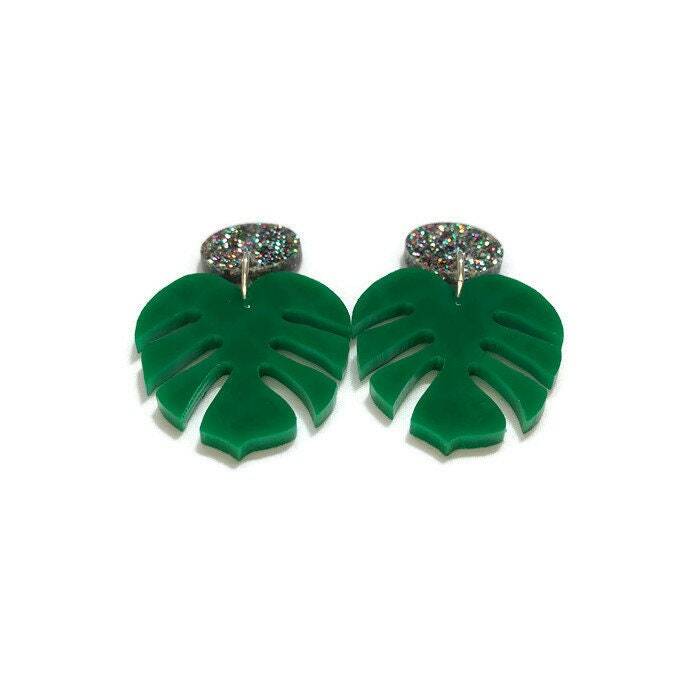 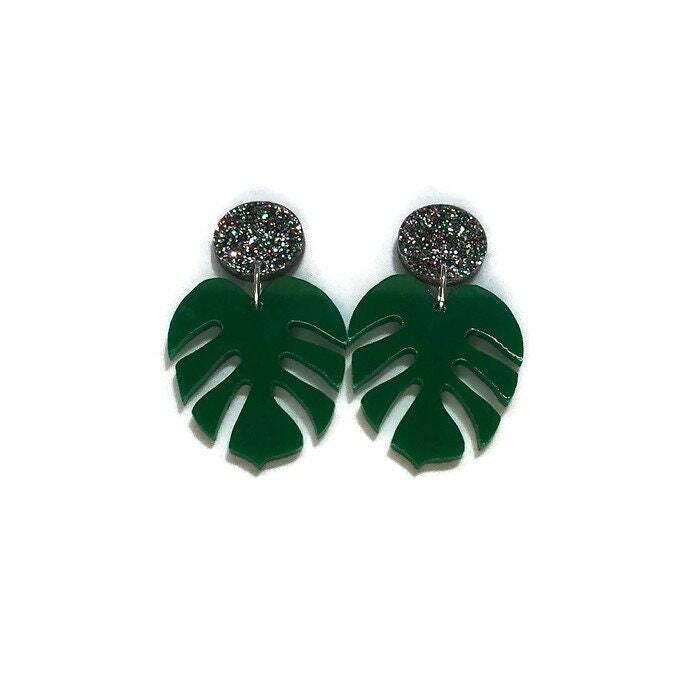 These fun and funky monstera leaf earrings are made of lightweight acrylic. 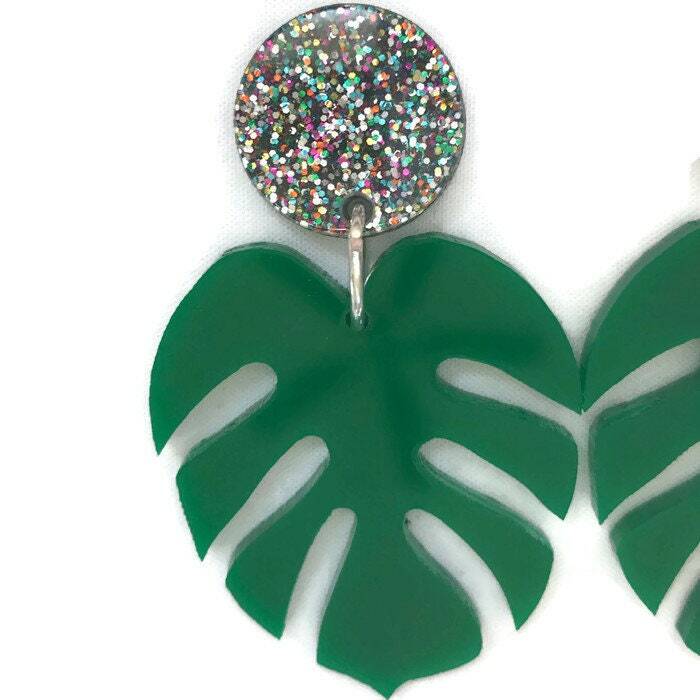 Hanging from multi-colored glitter acrylic circles are green acrylic tropical palm leaves. 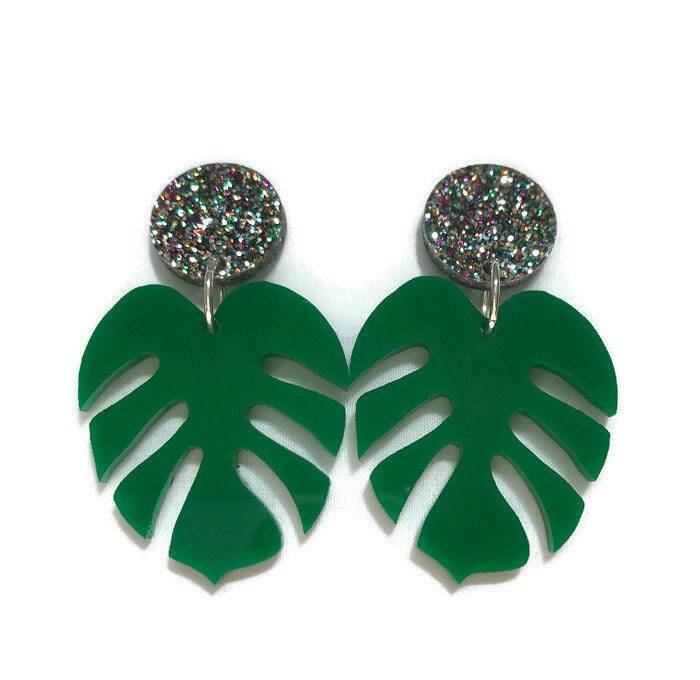 Each glitter circle measures 17 mm in diameter and the earrings measure approximately 55 mm from top of circle to bottom of leaf and 35 mm at widest point of leaf.